A trunk is the main stem of a tree, the part of the body between the legs and the head, and the main part of a nerve or artery. The nose of an elephant is also called a trunk. In addition, a trunk is a large box used to store or transport belongings and, in the US, it is also the storage area in the back of a car. We saw a squirrel run straight up the trunk of the tree. Bernardo took off his shirt so the doctor could examine his trunk. The celiac trunk is an artery that branches from the aorta. Rupert's son loved to draw elephants with long trunks. I have a trunk of clothes from my aunt that I need to donate to charity. We are a big family and it's always hard to get everything in the trunk when we go on vacation. In the UK, people do not say trunk to refer to the back of a car, where they put things like bags and suitcases. Instead, they call it the boot. When we want someone to open the trunk, we can say “Can you pop the trunk?” in the US and “Can you open the boot?” in the UK. 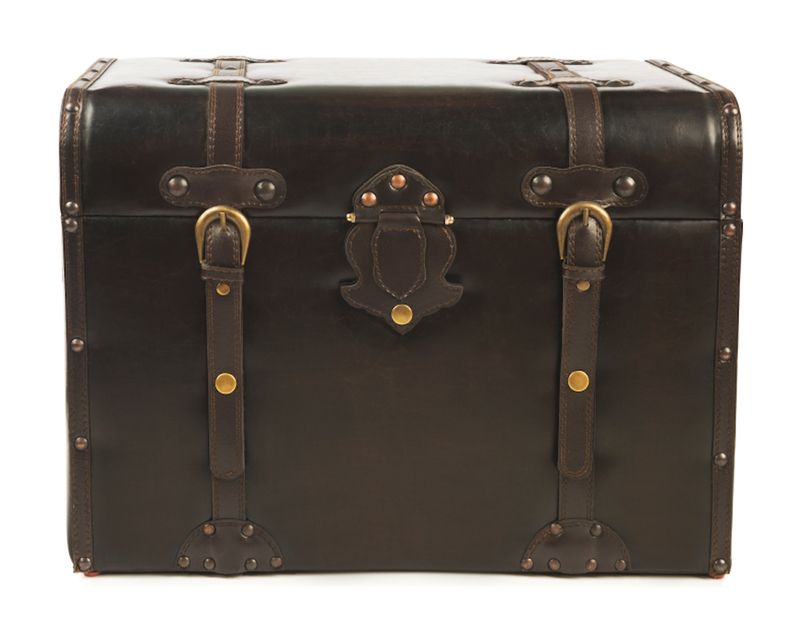 Trunk, originally meaning ‘box or case,’ date back to the early 15th century, in the form of the late Middle English noun trunke. It came into English from the Old French tronc (‘the alms box in a church,’ as well as ‘the main stem of a tree,’ ‘the torso of the body,’ and ‘a wooden block’). It can be traced back to the Latin trūncus (the trunk of a tree or the trunk of the body). Its origin before then is uncertain, though some linguists believe the sense came from the notion of something ‘cut off,’ and could possibly be traced back to the Proto-Indo-European root tere– (cross over, pass through or overcome). Trunk is related to the French tronc and the Italian, Portuguese and Spanish tronco (all meaning trunk), and if these linguists are correct about the PIE origin, to the Sanskrit turah (wounded or hurt), the Greek teirein (to rub or rub away), the Latin terere (to rub, thresh, grind or wear away), the Old Church Slavonic tiro (to rub), the Lithuanian trinu or trinti (to rub), the Old Irish tarathar (borer) and the Welsh taraw (to strike), as well as to English words such as attorney, contour, contrite, detourdrill, return, thrash, thread, throw, trauma, trout and turn. Though the senses ‘the main stem of a tree’ and ‘the torso of the body’ are present in the French and Latin origins, they did not appear in English until a bit later in the 15th century. The sense ‘luggage compartment of a car’ was first used in the 1930s. Trunk, meaning elephant’s snout, first appeared in the mid-16th century. Most linguists believe that it evolved from the same noun, but possibly from a confusion with the word trump (short for trumpet), which would be more closely related to the Spanish trompa, French trompe and Portuguese tromba, all meaning ‘snout’ (usually an elephant’s).